Please contact us to inquire about job opportunities. We post open positions on our Facebook page, Indeed, and Craigslist. Even if we’re not actively hiring, you’re welcome to submit your resume. We always check resumes on file before posting a job, and often hire candidates who’ve contacted us in the past. Both locations employ bakers, cupcake decorators, and cake decorators. Our Cathedral Square location also employs delivery drivers and event assistants, who set up catering orders and staff events. Management positions are usually promoted from within, though you’re welcome to contact us if you feel you’re qualified. Do you hire seasonal employees? Our event assistant position is technically seasonal, because there are far more weddings to set up in the summer and fall than in winter. We prefer all of our employees to stay on long term, even if they are part time, because it takes several months to be fully trained and comfortable with your job duties. We do hire local college students who can work more in the summer, as long as you can still work at least one shift per week during the school year. 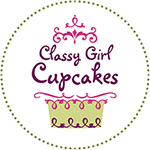 Do I need experience to work at Classy Girl Cupcakes? We prefer candidates who have baking or decorating experience or related education, though we have been known to hire passionate home bakers with restaurant or retail experience. How can I increase my chances of getting hired? Be yourself, and let your personality show through your resume and cover letter or e-mail. Tell us why you want to work here, and why we should hire you. We value dedicated employees with a strong work ethic who truly want to be here, learn, and grow with us. Even if you don’t have baking or decorating experience, we are more likely to hire you if you show passion for what we do. We are unlikely to contact you for an interview if your resume has no related experience, and you don’t take the time to explain why we should look beyond that.